Lisa's husband did everything for her. He took care of the bills. He made the house and car payments. He took care of insurance. All this enabled Lisa to raise their four children and care for their home in Bountiful, Utah, USA. Then, on his 45th birthday—out of the blue—Lisa’s husband committed suicide. He didn’t show signs of depression. Nor did he indicate that anything was less than perfect in their 15-year marriage, she says. 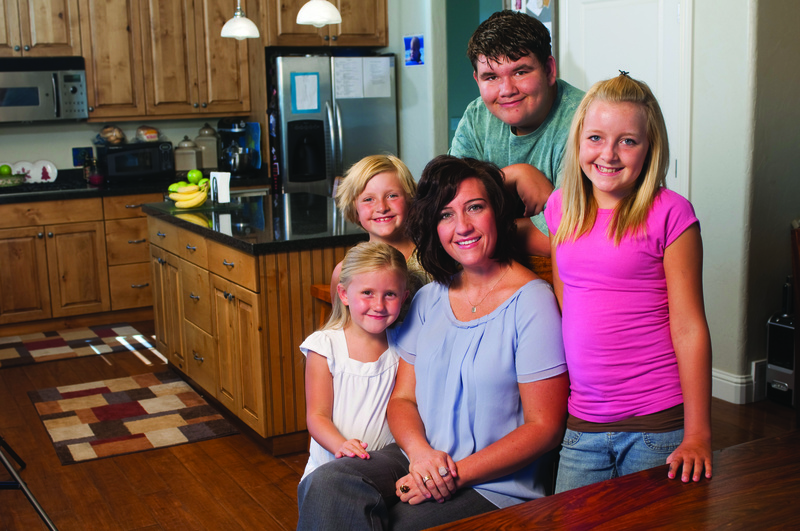 Driven by her love for her children, Lisa refused to give up in spite of her dire situation. If possible, Lisa’s situation grew worse. After her husband’s death, she learned that their home had second and third mortgages on it. Their cars had loans that exceeded their value. Their bank account was in the negative. They had no savings and owed thousands of dollars to the IRS. With her home in foreclosure and her car being repossessed, Lisa had to start her life over. She had four children, ages 5 to 14, to support and had not been in the workforce for 13 years. She had no formal education beyond high school. Lisa ultimately realized she had two choices. She could give up and make the same decision her husband had made. Or, she could fight. Calling herself a “fighter” and “survivor,” she knew she had to buck up and learn what she needed to know to give her children the lives they deserved. I knew I had a responsibility to my children and to myself; I looked into their four little, beautiful faces and realized that I was the only hope they had, that as their mother I had to find a way to survive this. As a woman in today’s world, Lisa knew she needed an education to move forward. So, she enrolled at Salt Lake Community College, where she is studying dental hygiene, with plans to graduate in 2011. “Getting my education is absolutely necessary for me to be able to care for my children,” she says. Living in a neighbor’s home and surviving on Social Security payments with some help from her church, Lisa was in dire financial need. She applied for the Live Your Dream Award and learned she was a federation-level recipient on the one-year anniversary of her husband’s death. As an SI/Bountiful club-level recipient nominated by Soroptimist’s Rocky Mountain Region, she has been using the awards to help with food, housing, clothes, school tuition, books and transportation. Even though the last year has been devastating, Lisa feels extremely hopeful. At a time when my life seemed the darkest and when I could barely find the will to breathe, I have witnessed more love and more selflessness and more beauty than I ever saw in the world before. I have hope in people, and most of all, hope in myself.